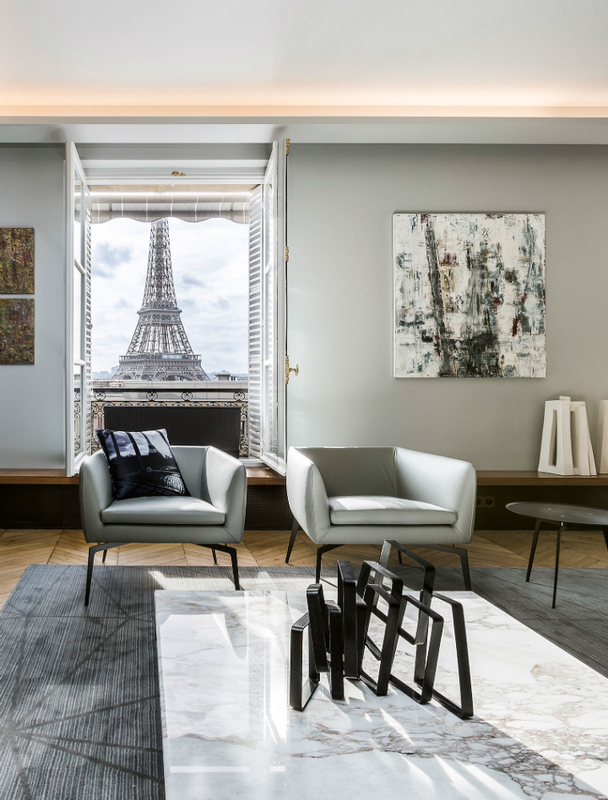 ALIVAR furniture has been chosen for a fascinating apartment in the heart of Paris, in an upscale building with a stunning view. 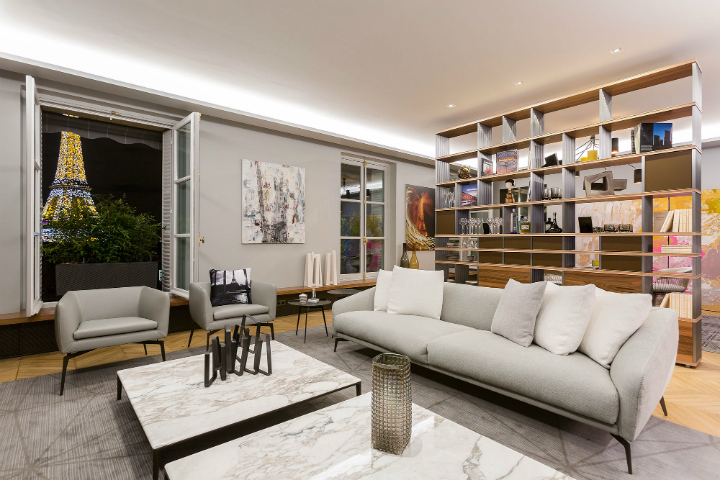 The construction is in fact located on the Avenue du President Wilson, overlooking the Eiffel tower and a few steps far from the Champs-Élysées and the Seine, the most famous area of the Ville Lumière. 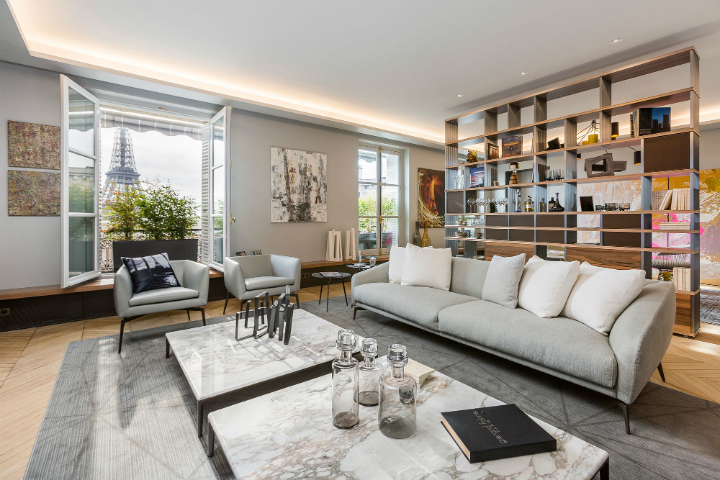 Many products by ALIVAR have been selected for this apartment by Gérard Faivre, who introduced the concept of “Art Homes” and is famous for his revolutionary concept of luxury real estate in the French capital. 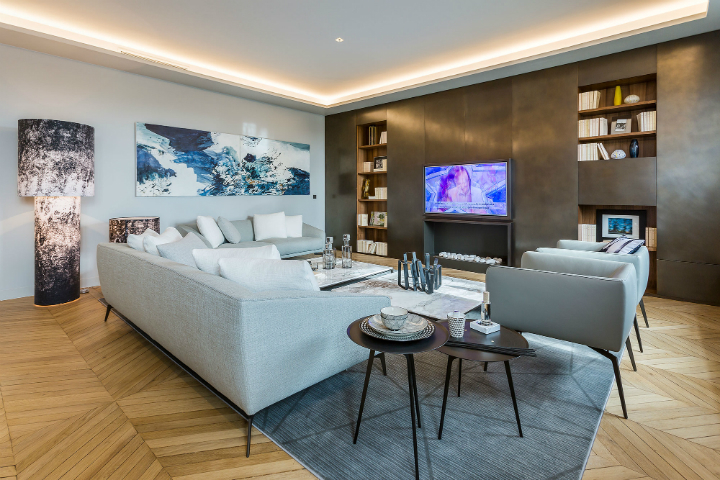 The residential solutions which he proposed, located in the most prestigious neighborhoods, are an excellent synthesis of architectural and interior design excellence, to the point that it becomes a work of art. ALIVAR has furnished the living and the sleeping area with many products designed by Giuseppe Bavuso: DYESIS bookshelf, LAND sofas, PADY armchairs, T-GONG coffee tables and MAYA bed, which perfectly combine with each other from the chromatic and materials point of view, creating an harmonious continuity in the living spaces. 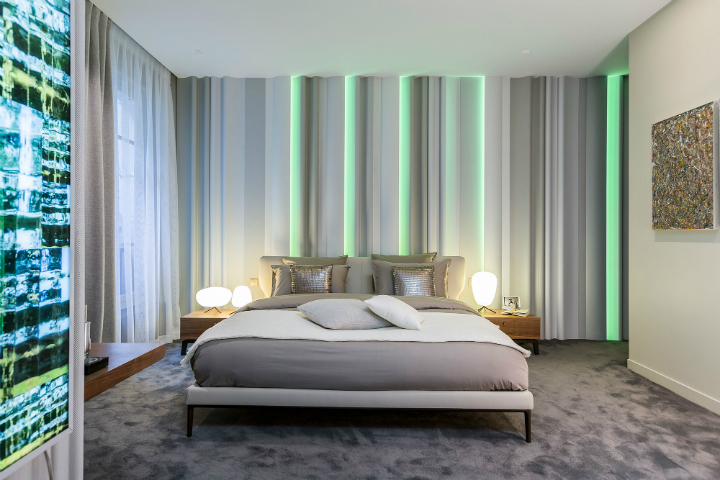 This residential project confirms ALIVAR as a global style icon in the world of design for its high quality, the attention to research and the product design. 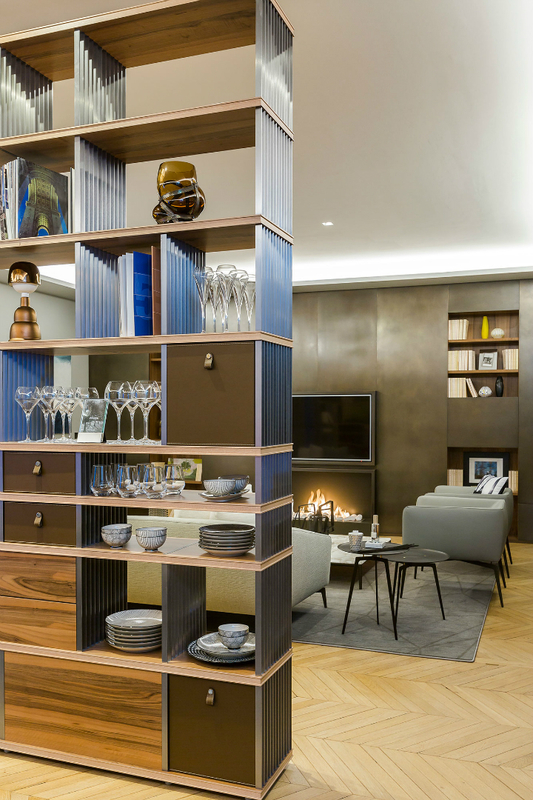 The company’s furnishing solutions allow to furnish every space with elegance and a distinctive style.